Misting systems are notorious for clogging because the spray heads have an orifice smaller than the thickness of a human hair. Even a small amount of scale buildup or a tiny bit of sediment will clog the sprayer. The WS-21 reduces scale buildup as well as sediment to significantly reduce time consuming maintenance and keep your misting system operational. 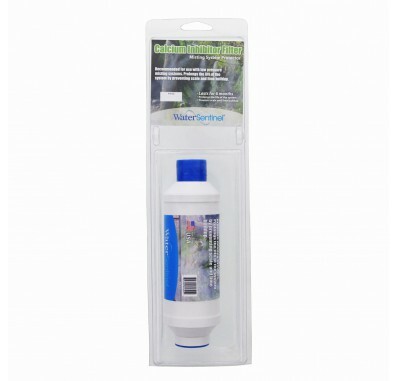 The Water Sentinel Misting System Replacement Filter uses Phosphate Crystals to remove contaminants for up to 6 months. 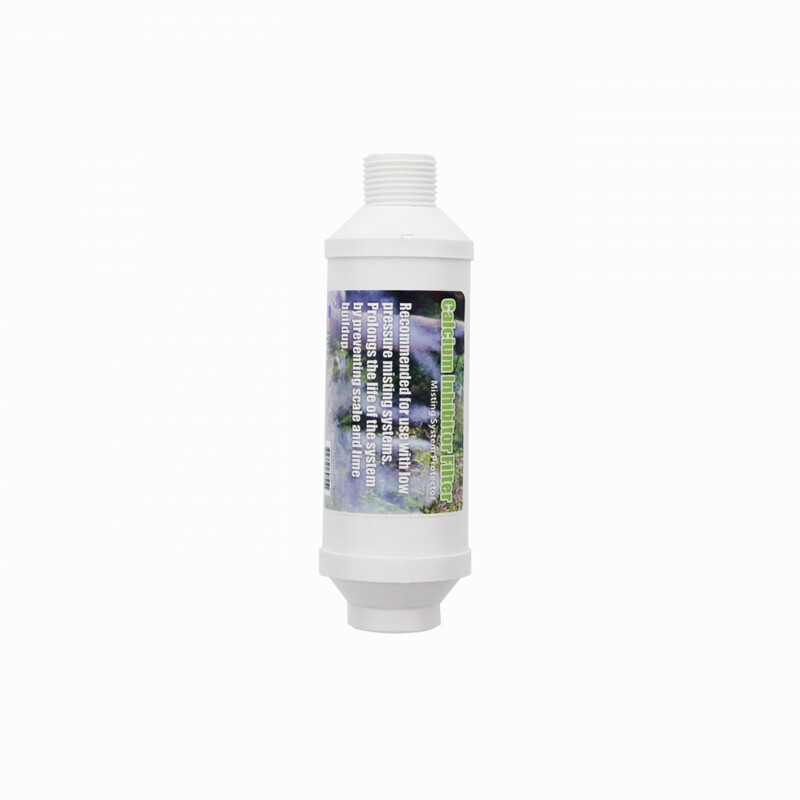 Polyphosphate filter media reduces scale buildup. Activated carbon reduces chlorine odor. 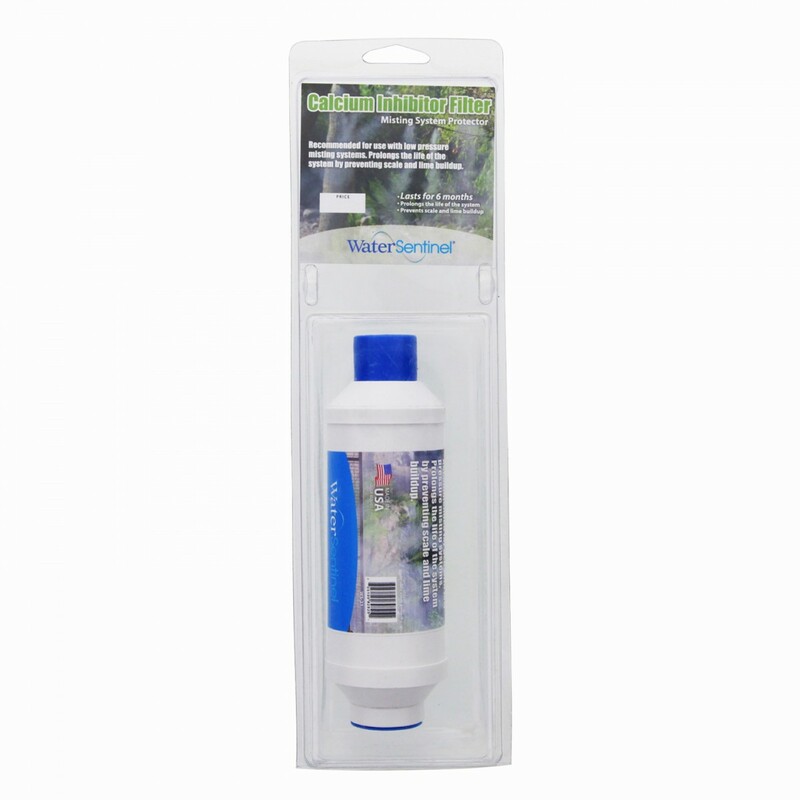 Specifically designed to keep your misting system from clogging.